We are a leading Wholesale Trader of ultra violet tubes and ultra high range meter from Mumbai, India. We are one of the reputed manufacturers and suppliers of Ultra Violet Tubes. These are Germicidal lamps that use ultraviolet ray glass for lighting. 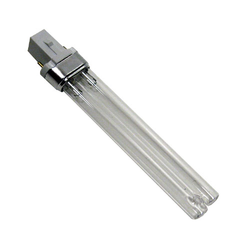 Germicidal Tubes appliances has properties similar to the flouroscent Lamps. We offer Ultra Violet Tubes in a wide range of sizes and shapes to cater the diverse needs of customers. HI 96771 has been developed to check chlorine dosing in disinfection processes with ultra high concentrations of chlorine. Thanks to the extended range from 0 to 500 mg/L (ppm), it is ideal for the food industry, such as in fruit and vegetable washing. 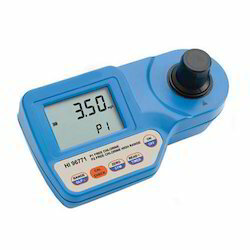 The HI 96771 meter measures the free chlorine (Cl2) content in water samples and chlorine ultra high range. The methods are an adaptation of Standard Methods for the Examination of Water and Waste water, 20th edition, 4500-Cl. Looking for Ultra Violet Tubes ?